Published June 19, 2017 at 600 × 564 in Was there confiscation of UNRRA and Heifer Project livestock? 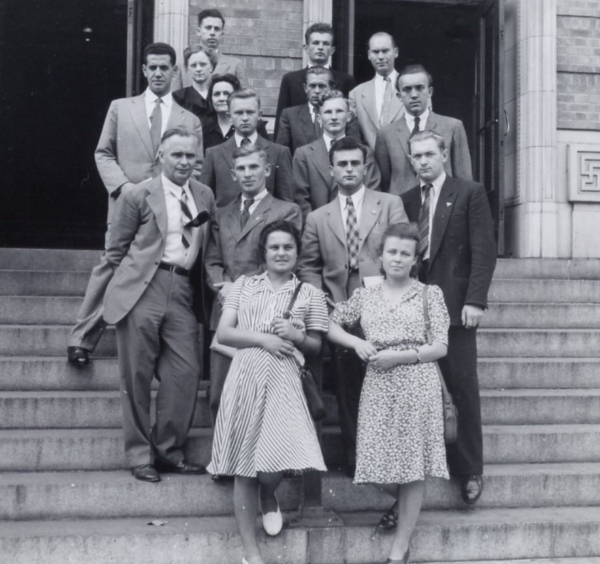 Students from the College of Agriculture of the University of Warsaw, Poland, gather with officials in the United States in July, 1947. Thurl Metzger, top left. Photo: Peggy Reiff Miller collection, courtesy of Thurl Metzger family.